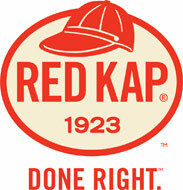 Since 1999 Working Class Clothes has been providing quality Red Kap, Bulwark & Chef Design clothing. Whether you need one garment or hundreds we are here to serve you. Please email orders@workingclassclothes.com or call for quantity discounts. Our offices are located in Lake Havasu City, Arizona & Denver, Colorado. We ship from five different warehouses across the USA. Our primary warehouse is in Nashville, TN..
Red Kap, Bulwark & Chef Designs are the industry leader for professional work wear & durability. Thank you for shopping Working Class Clothes!